John Page Williams is an award-winning boating writer and longtime Chesapeake Bay Magazine contributor. Here, he offers insight into the safe boating habits you can practice to help avoid an on-water collision. 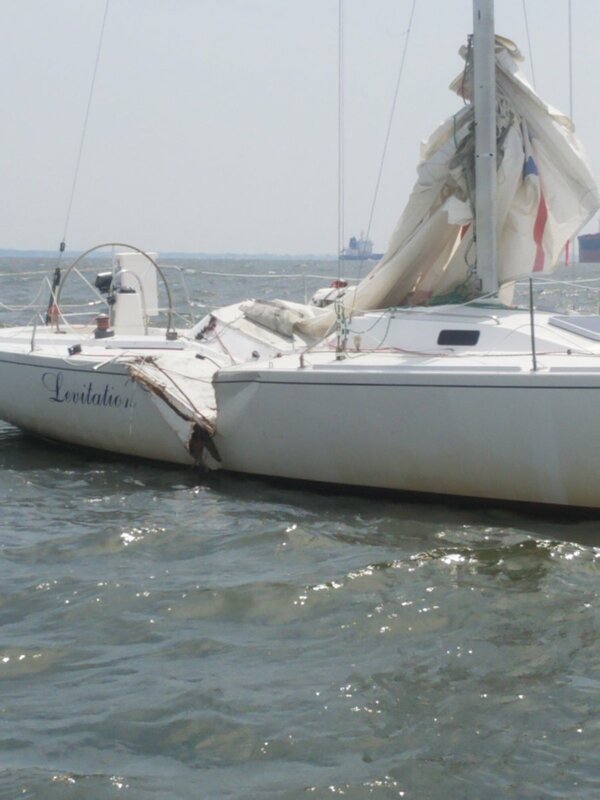 Last Friday saw a spectacular boat collision on crowded waters near Thomas Point Light, south of Annapolis. A 37’ fishing charter boat apparently collided with a 34’ sloop under sail. Fortunately, amazingly, no one was seriously hurt. Social media lit up, of course, with much speculation about causes, which are under investigation and may not prove as obvious as they might appear. Whatever the case, there are lessons to be learned for ALL of us who take to the Chesapeake in boats large and small. First, consider the old saying, “There but for the Grace of God go I.” Anyone who says he or she hasn’t had a close scrape in a car or boat is not being truthful. All of us have had momentary lapses of attention that led to narrow escapes. Those accidental lapses are, unfortunately, built into the human condition. But we can minimize those mistakes by learning from accidents like this one. Sound simple? Common-sense? You bet! And it’s effective. Try it. Now. There’s lots of great Bay boating left for us in 2018. Make sure your social media posts are happy ones.